The Winning Poker Network just launched into their month-long $10 million GTD Online Super Series Cub3d (August 5th-September 2nd). They’ve faced some adversity in the form of a wave of Distributed Denial of Service (DDoS) attacks from an unknown attacker. 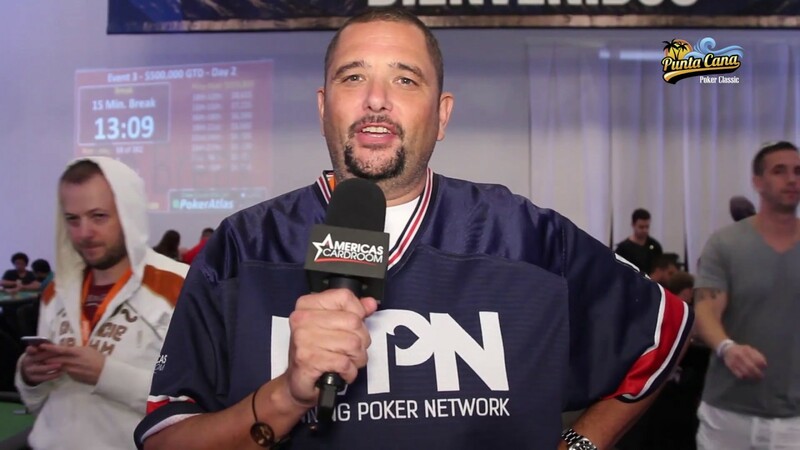 We sat down with WPN CEO Phil Nagy to discuss the effects of the attacks on the network, and the status of the series going forward. Where are we now? How are things looking for the series going forward? I’m very happy to report that things are now smooth after a rough start. On Sunday (August 5th), we were forced to refund and reschedule some tournaments. On Monday and Tuesday (August 7th-8th), all events ran with some forced pauses caused by the attacks. On Wednesday, August 8th we got through the day without any gameplay interruption, and we believe things will continue that way going forward. For those readers who may be unfamiliar, what exactly is a DDoS attack? To sum it up, it’s basically when a person, or group of people, flood our servers with an abundance of traffic to overload the system. This makes it difficult or sometimes impossible for our legitimate customers to access the site. What would be the motivation for someone to do this? Money, plain and simple. Every time we’ve been attacked, we’ve been warned that it’s coming ahead of time. They always ask for a ransom to be paid to avoid or stop the attacks. But it’s our stance to never pay, and I mean ever. Here’s the thing. If you’re getting bullied for your lunch money in a school yard and you give the bully your allowance, do you think he’ll leave it at that? Or do you think he’ll come back for more once he knows you’re going to give it to him? Unfortunately, it’s most likely the latter option, so we fight now to hopefully avoid fighting forever. This isn’t the first time you’ve been attacked, is it? Unfortunately, no. We’ve had more than our fair share of attacks over the years. But it goes back to what I was saying before — they eventually give up knowing they aren’t going to be paid. We had a big attack earlier this year, but like all the others before it, they gave up. Orchestrating these attacks cost both time and money, and if you’re in the extortion business, it makes sense to extort people who actually pay the ransom. How has this affected the players? This has always been the killer for me, because they get the worst of it. If we’re forced to cancel an event because of the attacks, we always fully refund the players or pay them out based on ICM depending on how far the tournament has run. But still, I completely understand how frustrating this can be. Our players who spend hours accumulating a stack and have a big shot at a score can sometimes be robbed of that opportunity, and that’s about the most unfair part of this whole thing. How has the player reaction been in general? I can’t say enough good things about our customer base. Obviously, there’s some frustration, but we have some real supporters who have stuck with us through tough times like these and we’ve continued to grow because of it. It’s their support that allows us to offer big tournament series such as these and other events like the $1,000,001 GTD tourneys. So, you foresee the rest of the series going smoothly? We’re getting better at dealing with these attacks every time they come. In just a few days, we’ve gone from being completely disabled, to gameplay now being completely uninterrupted. We’ve rescheduled the canceled Mini Online Super Series Events for this Sunday, August 12th, and we still have the Online Super Series and Bigger Online Super Series to carry us through to September 2nd. We think the worst is over and we should have a successful OSS Cub3d series throughout the weeks to come.